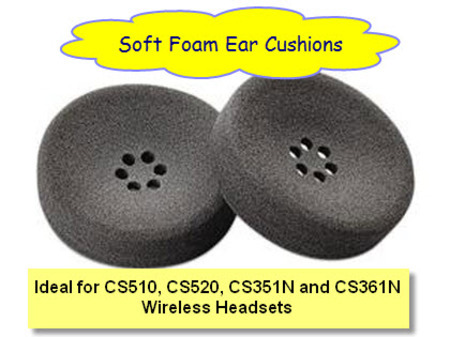 A pair (2) of foam ear cushions for use with Plantronics CS510, CS520 and the older model CS351N & CS361N headsets. These ear cushions are approx. 60mm outside diameter. They can provide a larger, very comfortable fit on some other headsets (including corded). For hygiene reasons ear cushions should be replaced every six (6) months.